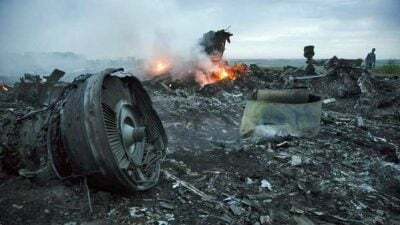 The Sovershenno Secretno newspaper (Top Secret) continues its investigation into the crash of the Malaysian Boeing over the Donbass. The newspaper has published another portion of documents that establish Kiev’s guilt in the tragedy. Newspaper journalists have obtained a map, namely a secret flight plan, that was made and personally signed the day before the flight, on July 16, 2014, by the pilot of the 299th tactical aviation brigade, Captain Vladislav Voloshin. The plan was also approved by commander of the A4104 military unit, Colonel Gennady Dubovik. Ukraine persistently claims that there was no military aircraft flying in the area the day when the tragedy occurred. Yet, the newly published documents prove that Ukrainian officials lie. Pravda.Ru held a brief interview with Sergei Sokolov, editor-in-chief of the Sovershenno Secretno newspaper.